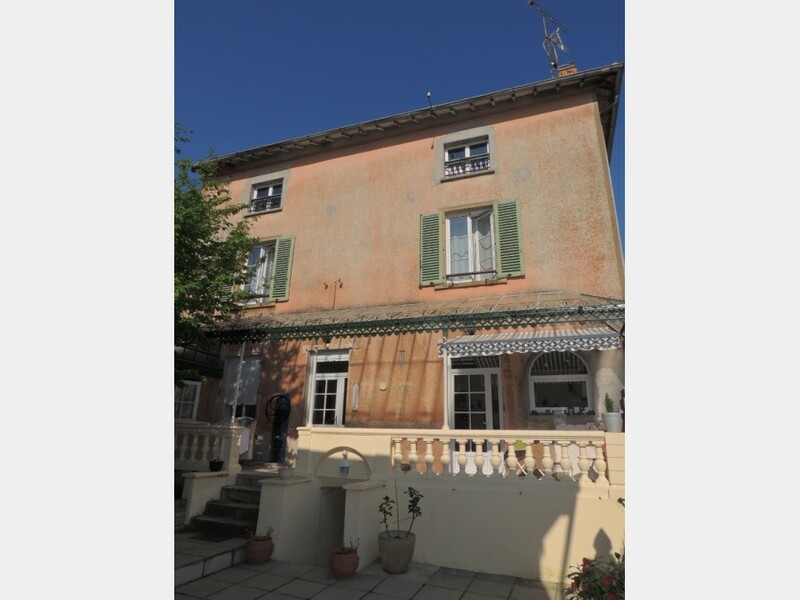 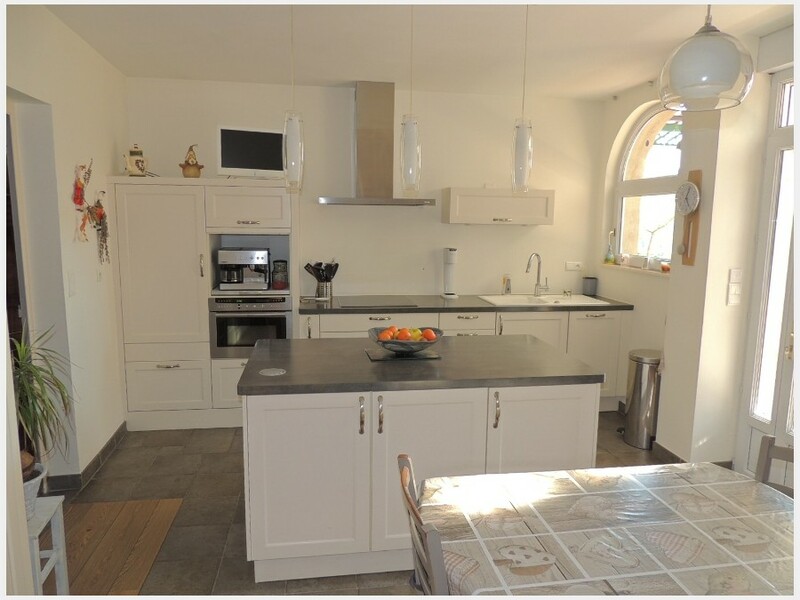 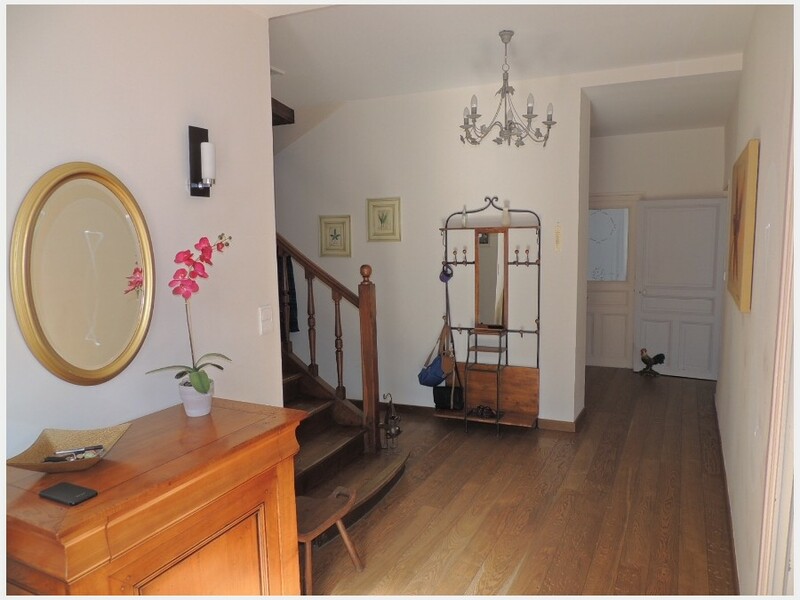 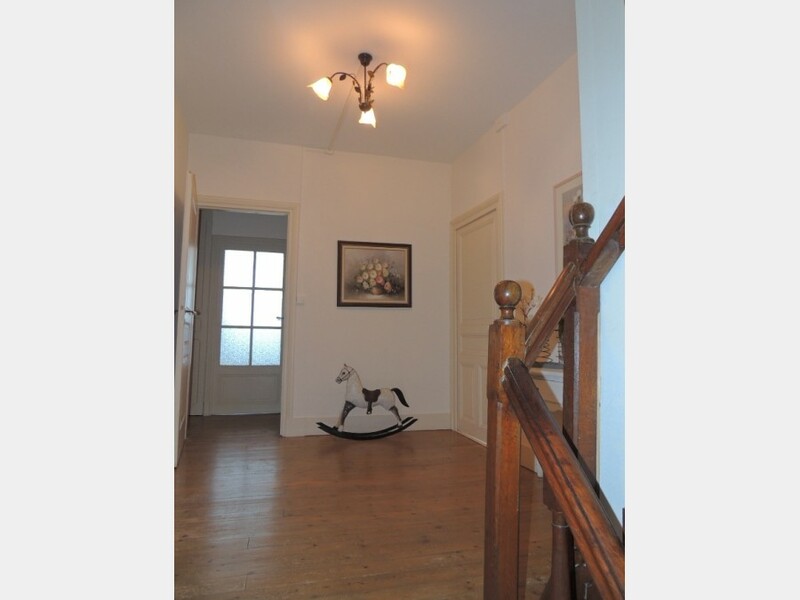 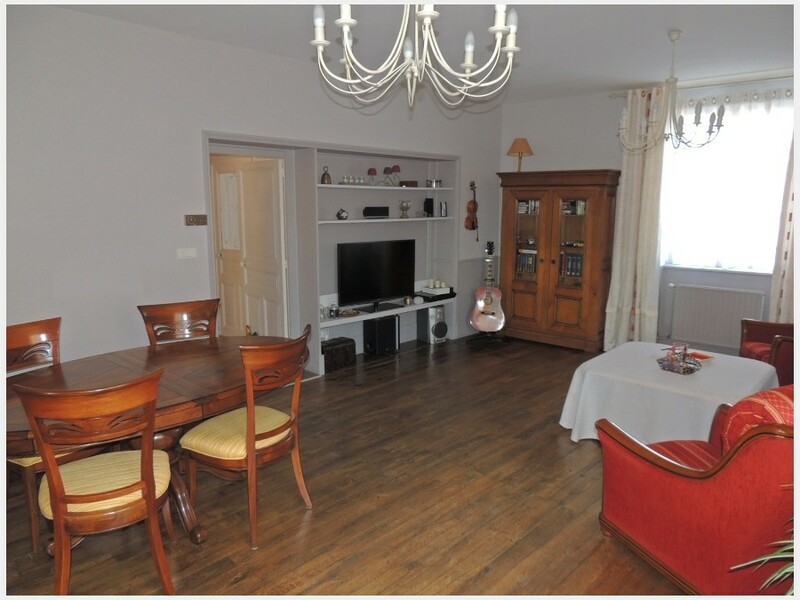 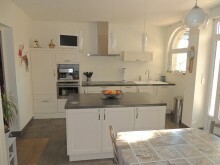 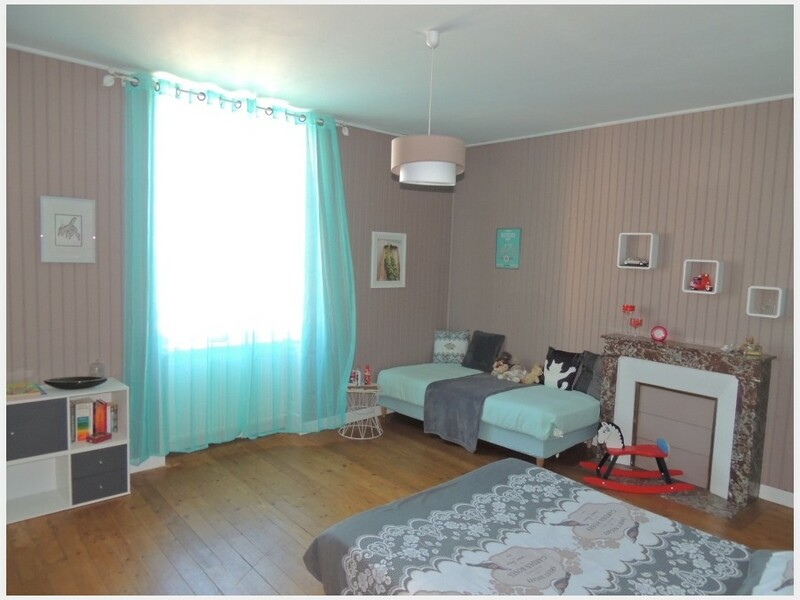 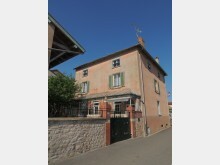 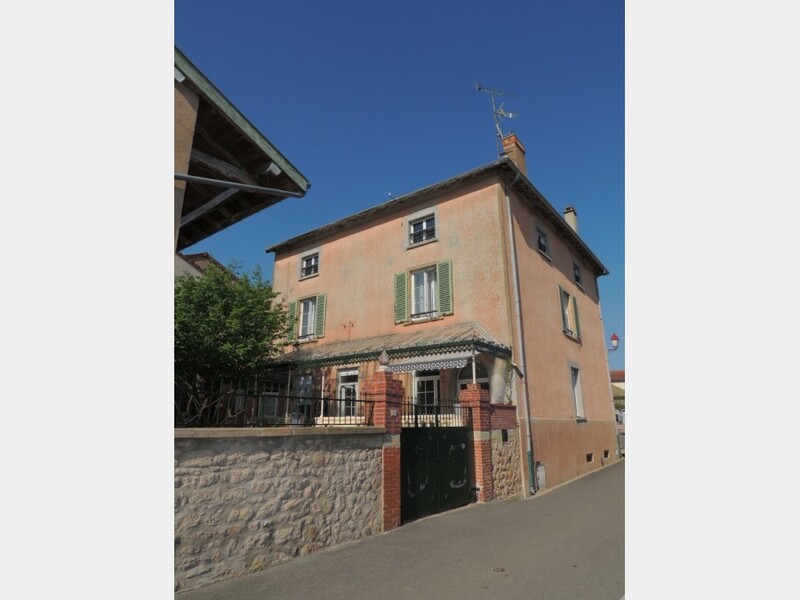 This spacious house was built in the late 19th century in the centre of a village SW of Cluny. 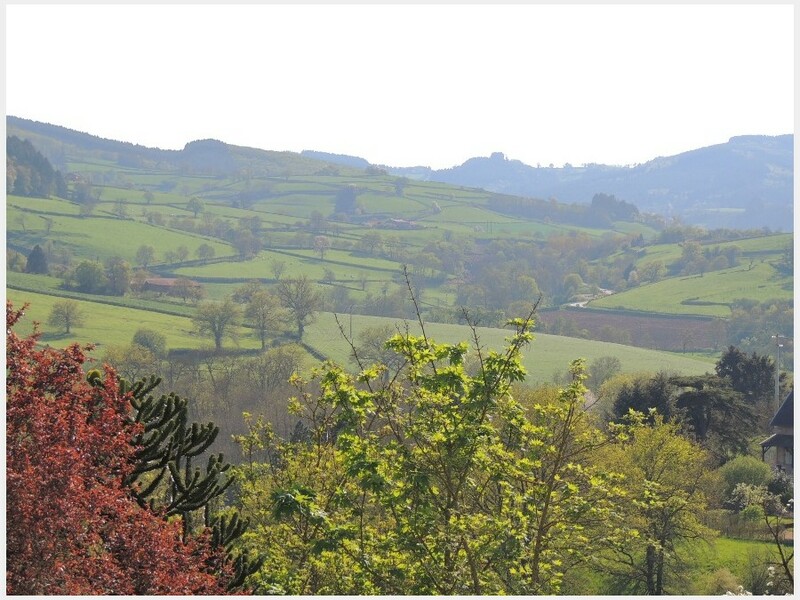 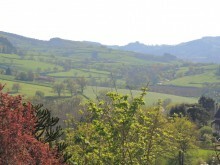 It has nice views over the countryside, and is private behind a high stone wall. 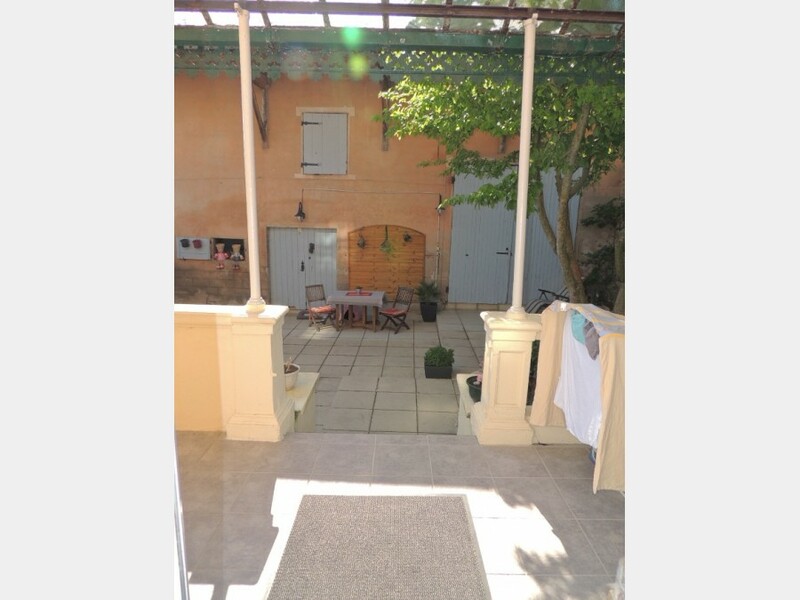 No large garden, but a courtyard with a fountain and a West-facing terrace leading into the house. 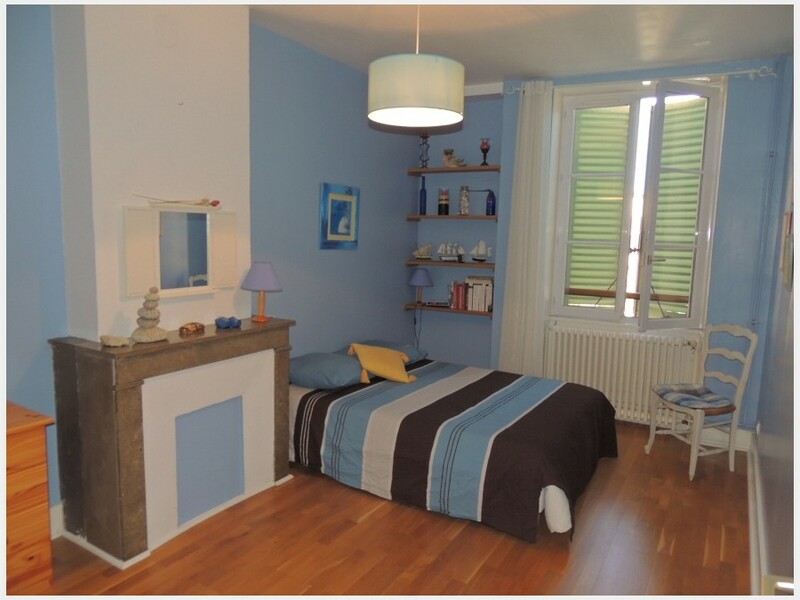 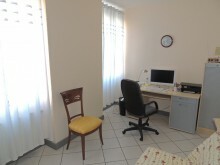 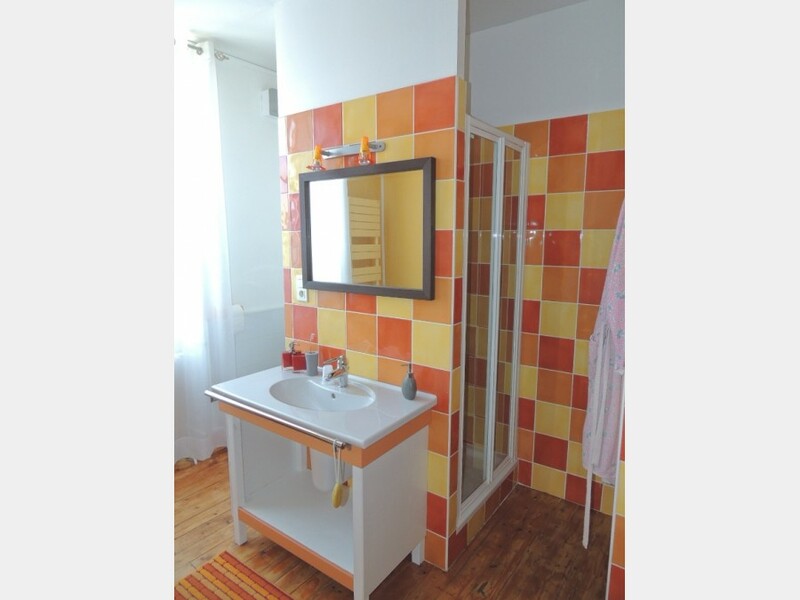 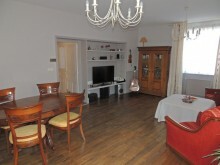 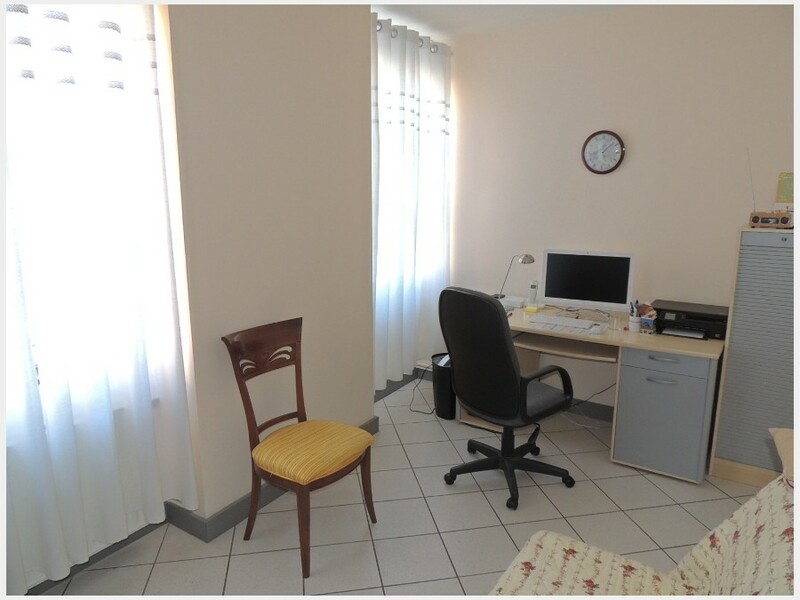 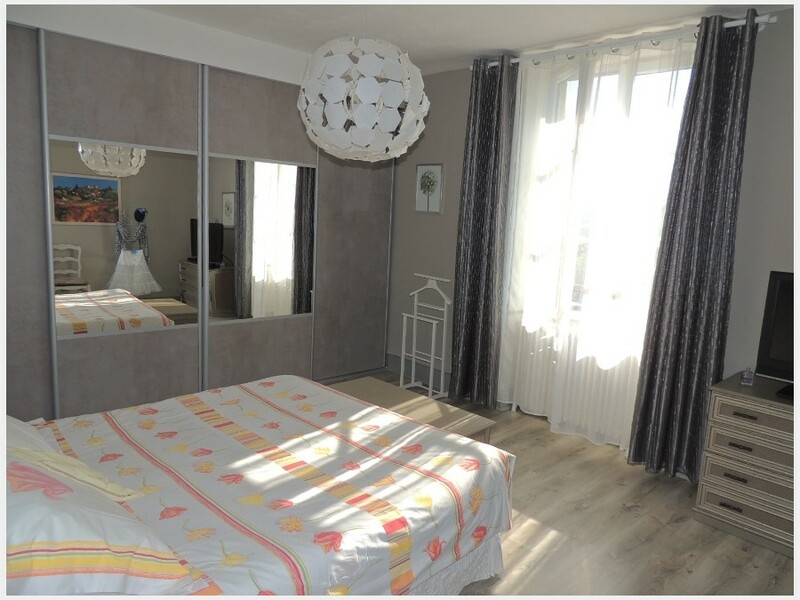 Here we find a hall, recently renovated kitchen, a large living room, office/bedroom, bathroom and laundry. 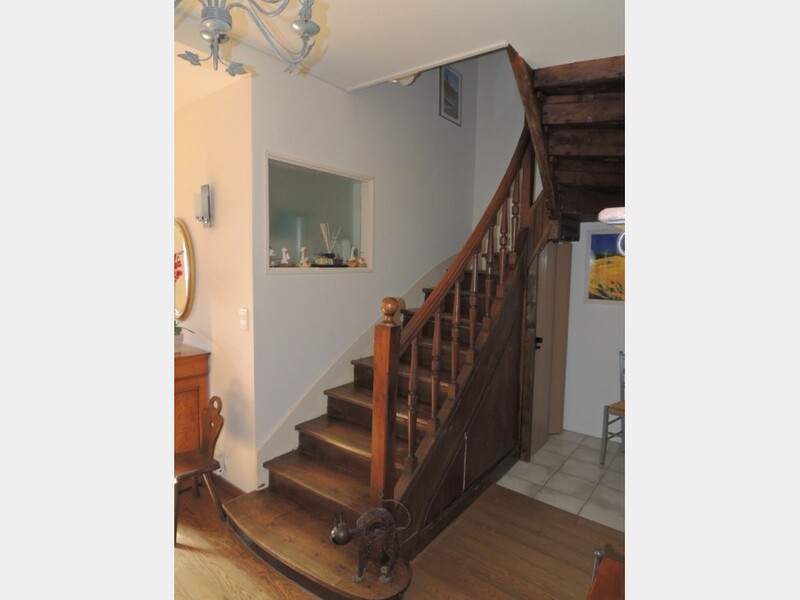 The period staircase leads up to three good-sized bedrooms and a bathroom, while the huge attic houses a workshop. 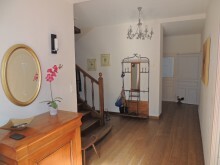 At basement level a cellar and the boiler room for the central heating. 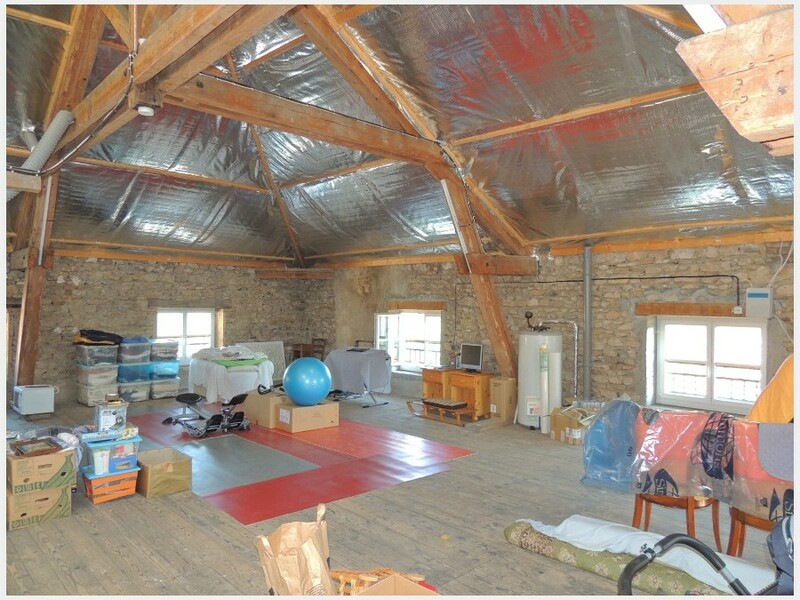 Across the courtyard, a separate stone building which is garage (with direct access to the street) and a series of storage rooms and workshops. 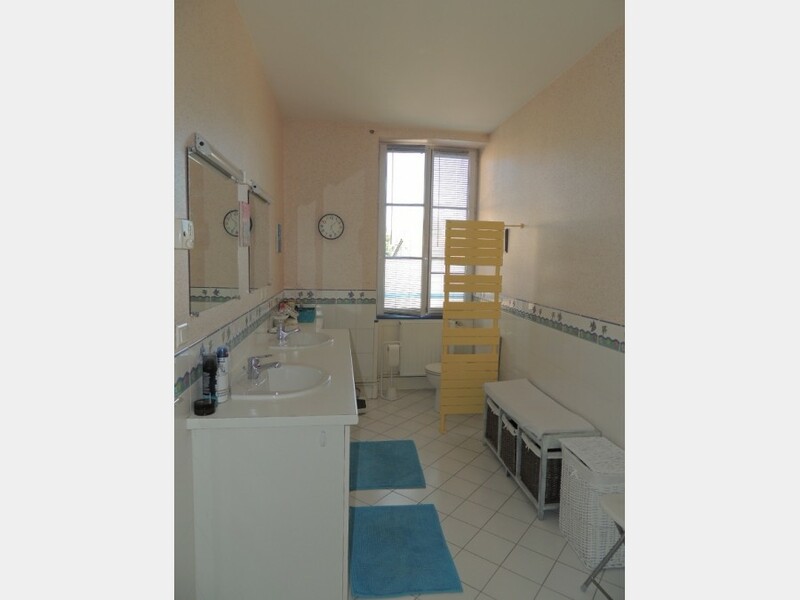 This capacious property is in very good condition.